The arrival of a new year provides a great opportunity to take on new challenges and address long-standing phobias. And for most of us, the fear of speaking in public reigns supreme. So as you create your goals for this New Year, I invite you to resolve to manage the fear you feel when presenting in high stakes situations (e.g. presentations, meetings, panels, etc.). To help you remember these techniques, be BRAVE. Breathe. Take time to breathe slowly and deeply. “Belly breathing” — filling your lower abdomen by inhaling slowly through your nose and filling your lower abdomen — can reduce your nervous symptoms by lowering heart rate and calming your jittery stomach. Count to three as you inhale and then again as you exhale. Focus your attention on the counting. Repeat this type of breathing several times. Recite your core message. Most people worry about forgetting what they were planning to say. One way to bolster your confidence is to make sure you know your central point well. You should be able to recite your core message in one clear, concise, declarative sentence. Repeat this to yourself several times to increase your confidence. If you do forget a part of your presentation, restate your central point to help you get back on track. Acknowledge your jitters. Most people feel anxious prior to speaking. It’s your body’s normal response to a challenging situation. Avoid giving your natural reaction any special significance. Instead, greet and accept your anxiety by saying to yourself, “Here are those anxious feelings again. It makes sense that I feel nervous. I am doing something important and of consequence.” Acknowledging your anxiety empowers you and actually dampens your anxiety response. Further, reframe those butterfly feelings in your stomach as proof that your body is excited and ready to help you be focused and deliver a great talk. Vocally warm up. Being anxious can wreak havoc on your voice. Relax your voice and yourself by doing some vocal warmups. An athlete would not begin a sporting event without stretching, and you should not begin speaking without preparing your voice. Start by drinking some warm water. Next, speak your core message out loud. Finally, repeat tongue twisters, such as “I slit a sheet. A sheet I slit. And, on that slitted sheet, I sit.” Tongue twisters both help you prepare your voice and help you focus on the present, instead of worrying about future consequences of your presentation (e.g. getting the job, being funded, promoting your ideas, or achieving good grades). Expect success. Too often, speakers worry about making mistakes and messing up, rather than embracing their speaking opportunity. 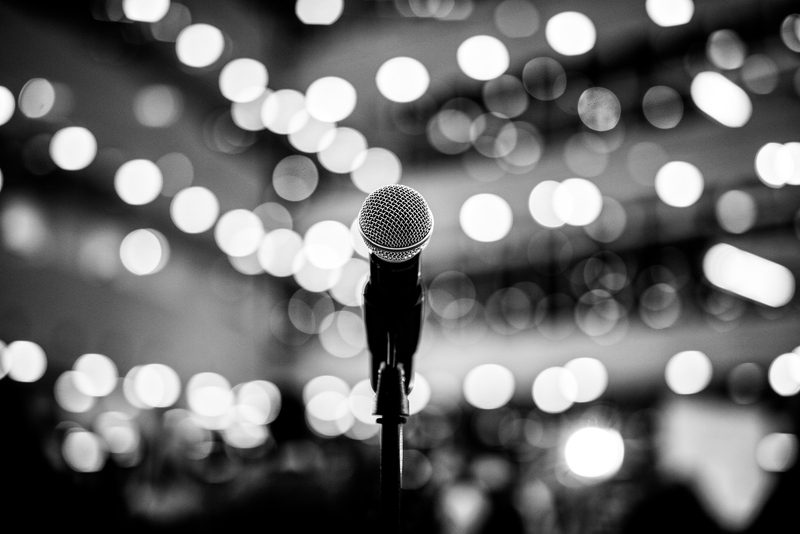 When you think, “This is a great chance to share my ideas,” you are likely to feel good about your speaking event, which in turn, makes you more empowered and relaxed. The more relaxed you are, the more likely you are to give a good presentation. Use this self-fulfilling prophecy to obtain a positive outcome. One suggestion is to use positive affirmations. As you prepare a presentation, think about some positive statements you can say about yourself or the speaking opportunity and then say them or think them to yourself before you speak. These affirmations should be short and simple. Research on sports performance has found that simple, one-word mantras (e.g. “focus,” “calm,” “fun”) confer the most benefits because they eliminate overthinking. Be BRAVE and manage your communication anxiety to be a confident communicator in the year ahead! Matt Abrahams is Co-Founder of Bold Echo LLC and the author of “Speaking Up without Freaking Out.” He also teaches Strategic Communication at Stanford’s GSB.